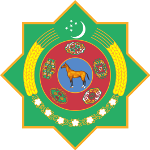 Turkmen Horse Day is a public holiday in Turkmenistan held annually on the last Sunday in April. It celebrates the Akhal-Teke, a horse breed from Turkmenistan which is presented on the country's official coat of arms. The Akhal-Teke are believed to be one of the oldest existing horse breeds. They have a reputation for their endurance, speed, and intelligence. Akhal-Teke horses are also known for their ability to withstand severe climatic conditions. Due to their shiny coat with a distinctive metallic sheen they are sometimes referred to as Golden Horses. Akhal-Teke horses are bred in many countries, but most of them are bred in Turkmenistan. This country even has a separate agency responsible for their breeding, maintenance and training. Akhal-Teke horses are considered to be the national pride of Turkmenistan. There even is a national holiday dedicated to them. Turkmen Horse Day (also referred to as Turkmen Racing Horse Festival) is celebrated with equestrian fairs, exhibitions, dressage and racing competition and other events. In 2013, the first-ever International Fair marking the holiday was held in the city of Ashgabat, the country's largest city and national capital.